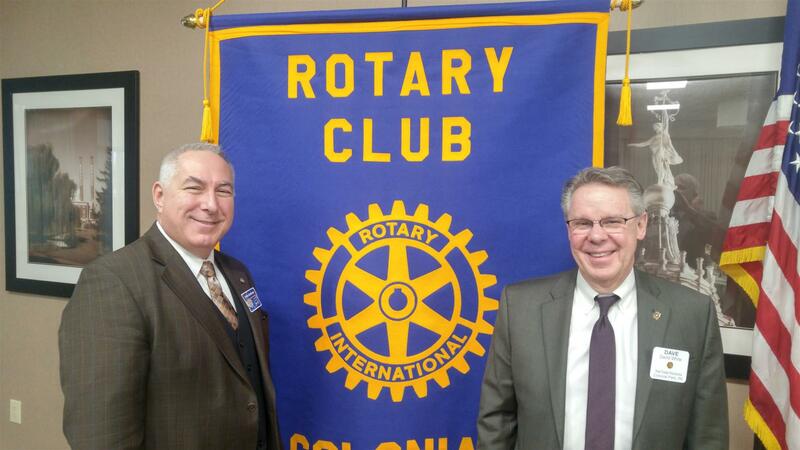 Rotary District 7390 is pleased to report that the District Governor Nominating Committee has met and recommended Gregory C. Staub, Rotary Club of Hanover, to serve as your District Governor for the 2021-2022 Rotary year. Greg is a native of Hanover, PA. He graduated from Delone Catholic High School and holds a Bachelor’s Degree from Temple University and Ph.D. from Tulane University. 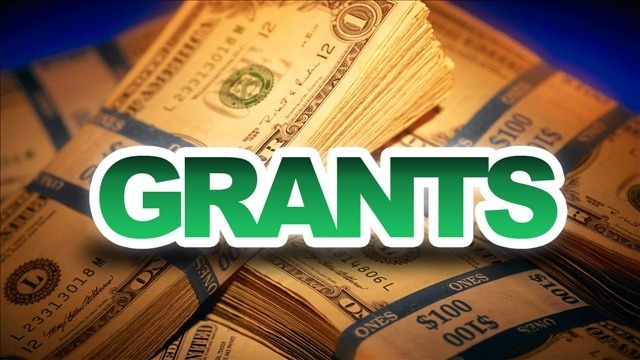 He is a graduate of the American Bankers Association National Trust School and in 1993 was awarded the designation Chartered Financial Analyst (CFA). 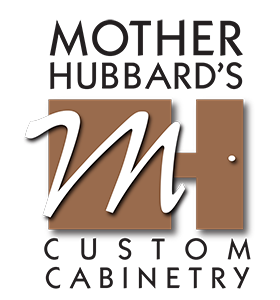 Greg is very active in the Hanover community, having served on the boards of several local non-profits. He is currently serving as the President of the Hanover Area Historical Society. 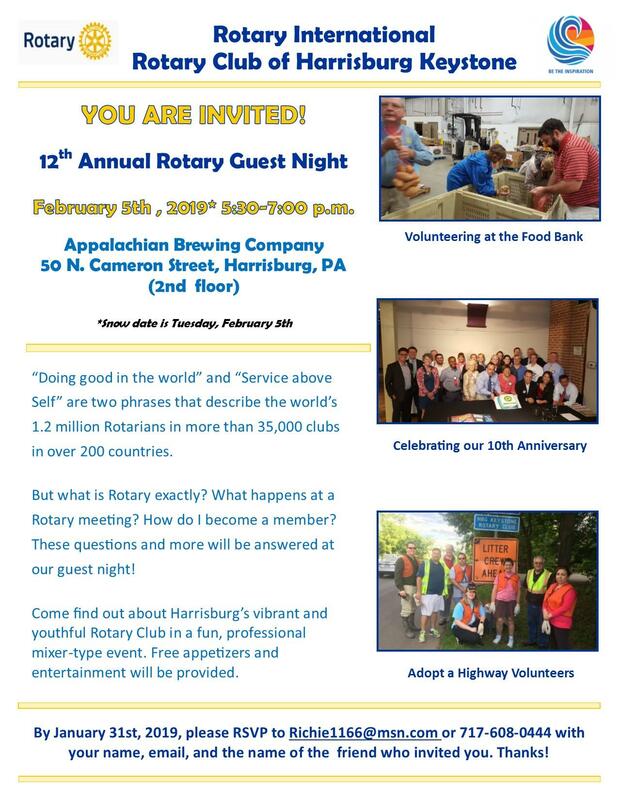 He is a past president and board member of the Hanover Rotary Club and is currently serving as the Group D Assistant Governor. Greg and his wife, Edie reside in Hanover and are the proud parents of four children and grandparents of 4 grandchildren. 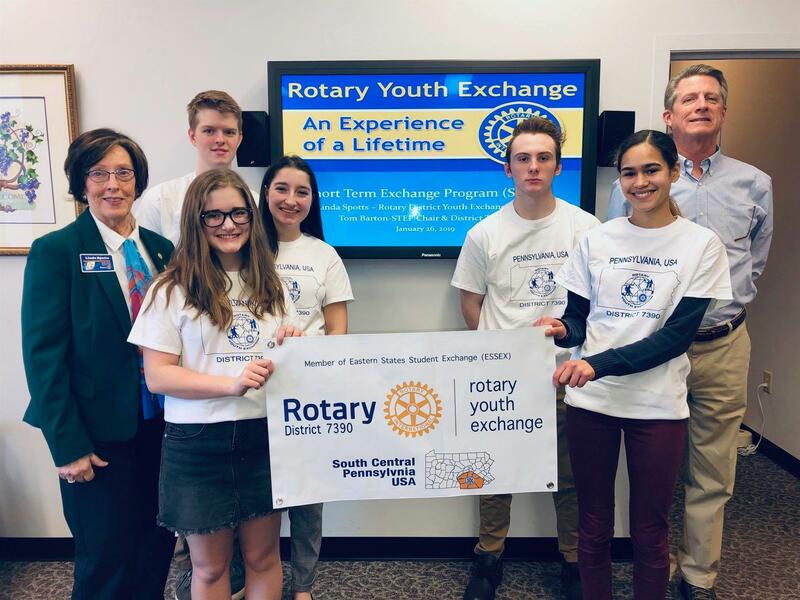 On Saturday, January 26, five students were interviewed and selected to participate in the Rotary Youth Exchange Short Term Exchange Program. The students are sponsored by the Rotary Clubs of Harrisburg, Harrisburg-Keystone and Susquehanna Township. Their top country choices for exchange are Italy, Japan, Spain and France. The students will be notified in a few months regarding the country they will be exchanging with. A big thank you to District Youth Exchange Chair Linda Spotts (Susquehanna Township), District Short-Term Exchange Chair Tom Barton (York) and other Youth Exchange volunteers for conducting the interviews and orientation program for the students. District Governor John May presented District Governor-Elect Patrick J. 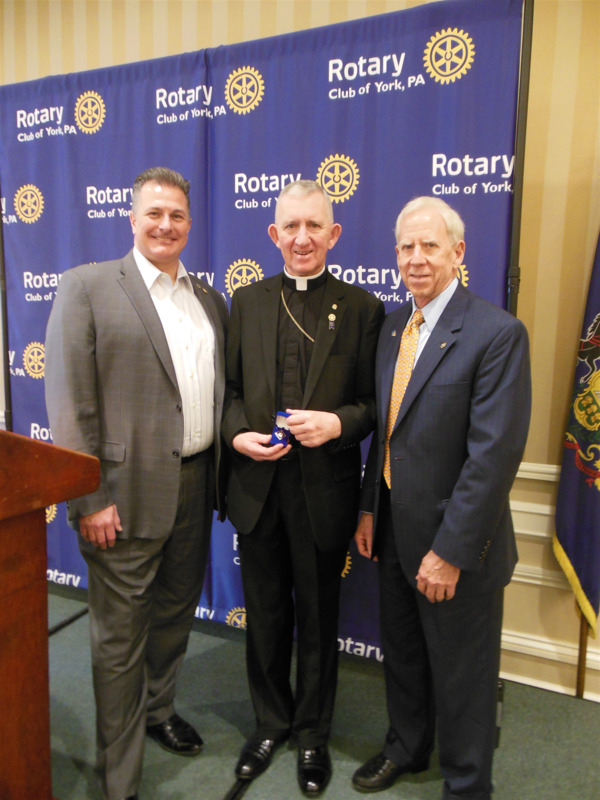 “Paddy” Rooney with a Major Donor Level 1 pin and crystal piece, at the Rotary Club of York’s meeting on Wednesday, Jan. 9, 2019 at the Country Club of York. Paddy has been a member of the Rotary Club of York for 12 years, served as President for the 2016-17 Rotary year, chaired the Student Education Committee and served on 9 other committees. Paddy will be inducted as District 7390 Governor for the 2019-2020 Rotary year on June 27, 2019 at Wyndridge Farm.